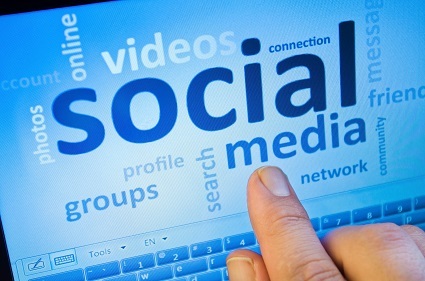 Social media platforms are being used by an increasing number of the population. A recent study has shown that nearly 60 per cent of the UK’s population has at least one active social account, and the average Internet user in the UK spends 2 hours a day on social media platforms. These figures show that social networks are increasingly becoming an integral part of our personal and professional lives, and this has caused concern among many employers. The use of social media in the workplace is usually frowned upon because of the generalised belief that it can damage a company’s reputation and decrease productivity. But exactly how much truth is there to that belief? A Microsoft study published in 2013 revealed that contrary to what most managers believe, the use of social media at work can actually increase productivity. The 2-year study pointed out that in the not-so-distant past, many managers believed that the use of e-mail at work was also a distraction and a drag on productivity, but as time went by companies have come to rely on this form of digital communication as an integral part of their business routine. Could the same happen with social media? According to the study, it is already happening. One of the key findings had to do with how employees use social media. While management assumed that they were using it for personal reasons, the study found that nearly half of all employees surveyed were in fact using social media as a teamwork and collaboration tool. Another Microsoft survey studied the behaviour of nearly 10,000 employees in 32 countries and found that 50 per cent were using social media to share and review work-related documents, 47 per cent to communicate with clients, and 31 per cent were doing so to promote work-related initiatives and programmes. Overall, more than 50 per cent of employees aged between 18 and 44 claimed that using social media had helped them become more productive. It’s interesting to note that productivity increases were highly dependent on industry sector, with media, publishing, hospitality, and IT being the most likely to benefit, and government, financial services, and retail the least likely. Is blocking social media a good policy? No matter what recent studies say, many managers are still reluctant to let employees use social media at work. Blocking these networks altogether is a common practice, but is it beneficial? Hardly so, because staff will always find a way around bans and blocks (for example, using their mobile phones), not to mention the amount of time wasted in trying to get around a blocked site. There is also a psychological aspect involved. Researchers at the University of California found that removing strict controls on the use of social media at work gives employees a feeling of higher autonomy, and knowing that they can take a “social media break” at their discretion can work as a mood booster -or “brain breather”, as a University of Melbourne study described. The majority of recent studies on this topic point to the same finding: managers underestimate the potential of social media. So can companies make this new technology work for them and for their employees? Making it clear that using social media to bully, harass, or discriminate against others will not be tolerated. Making employees aware of whether Internet use monitoring is in place. Detailing the type of work-related content or pictures that cannot be posted to social networks (especially when it comes to copyright issues or sensitive information). Defining whether employees are allowed to disclose their association with the company in their personal social media profiles. A detailed description of the disciplinary procedures that follow policy breaches. The second most important thing managers can do to ensure that social media works for them (instead of against them) is to focus on employee advocacy. Establishing a corporate social media account and encouraging staff to use it is a good strategy and it also works as a marketing tool. You could create different teams and give them relevant tasks to do using social media, such as researching your competitor’s social media strategy or using corporate social media accounts to provide customer support. By doing this, businesses can turn employees into enthusiastic brand ambassadors and contribute to a more productive working environment – all thanks to the appropriate use of social media in the workplace.